Could it be – Back to School already? Back to school? The advertising and promotions are everywhere. Where did summer go? Is it really Aug 5th? I actually love back to school shopping. And many of the reasons have nothing to do with my kids going back to school at all. Or you kidding? All those school and office supplies, organizational boxes and systems in different colors, pens, pencils, binders – – – it is an orgainized persons Candyland. I walk through the aisles almost floating imagining how neat and tidy things can be with the color coded pen holders and those clear boxes – – wow – so many possibilities. But I’ve written about how back to school shopping is a great time to stock up on supplies. And I’ve written about printing a copy of the school supplies list early and shop in chunks instead of one whopping trip – avoiding an over the budget total at the check out . And equally important, avoiding the crowds and the frustrations around said crowds (limited and diminishing inventories, cranky kids, pushy moms, etc.) But I’ve never written about back to school clothes shopping. Inventory the current clothing first. We call this a “fashion show” in our house, where I make the boys try on all their current articles of clothing to see what still fits, what is too worn to stay and what items are missing. Create a list of what is needed and stick to it. Note current sizes. Shop online and look for reduced or free shipping opportunities. Note the “tax-free” shopping days if your state offers this (man, I wish my state did – hint, hint – Governor Gregoire). Take the kids – don’t take the kids. That’s a hard one. Depends on your kids – I guess. But I say – don’t be afraid to leave them at home if you can get the job done quicker and with less angst for everyone. You can always return things that don’t work out later. Return things that don’t work out. Shop early, when your energy and patience are still high. Here’s a blog I read. I share the philosophy of the writer’s. Just another perspective to consider. 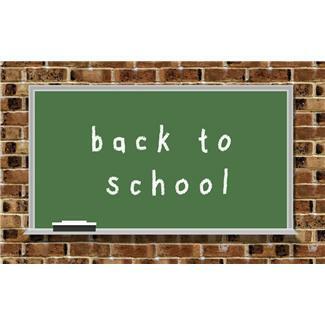 Do you have any other back to school shopping ideas and tips? I’d love to hear them and I’m sure other would too – please share them in the comments section. Categories: Money-savers, Time-savers | Tags: back to school shopping, governor gregoire, no character clothing, organizational boxes, tax free shopping | Permalink.